We believe that every child deserves to be nurtured and supported by a stable and loving family. As an agency that has successfully provided services for children since 1980, Genesis acknowledges the need for children, when possible to be supported in an environment, which most resembles that of a natural family. By working in conjunction with West Virginia Department of Health and Human Resources we believe that many children can thrive in a family setting and develop skills necessary to function successfully as a member of that family, with an ultimate goal of achieving and/or maintaining permanency. Family Focused. Community Minded. Mission Driven. Genesis Youth Center is an emergency shelter for kids who need a temporary place to stay until permanent placement arrangements are made. We have 15 beds for boys and girls between the ages of 10 and 18. Kids from all over the state come here for many different reasons. The average stay is between 30 to 60 days, but sometimes can be as long as 90 days depending on your situation. Genesis is not a detention or “lock up” facility, but we are a line-of-sight facility. We have on-site therapists and Behavioral Support Specialists here all the time who will lead you through daily activities and help you if you have a problem. During your first few days here, staff will guide you through the daily routine so you’ll know what to expect and what is expected of you. A handbook will given that will explain most of the house rules and consequences for breaking rules. Keep in mind, that staff may sometimes have to adapt the rules or make exceptions. Want to learn more about our Emergency Shelters? CLICK HERE. To download the intake packet, CLICK HERE. Alta Vista Children’s Shelter is an emergency shelter for kids who need a temporary place to stay until permanent placement arrangements are made. We have 10 beds for boys and girls between the ages of 6 and 14. Kids from all over the state come here for many different reasons. The average stay is between 30 to 60 days, but sometimes can be as long as 90 days depending on your situation. Alta Vista is not a detention or “lock up” facility, but we are a line of sight facility. 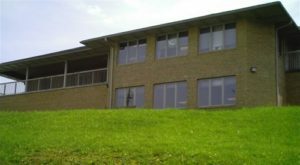 There are on-site therapists and Behavioral Support Specialists here all the time who will lead you through daily activities and help you if you have a problem. During your first few days here, staff will guide you through the daily routine so you’ll know what to expect and what is expected of you. This handbook will explain most of the house rules and consequences for breaking rules. Keep in mind, that staff may sometimes have to adapt the rules or make exceptions. 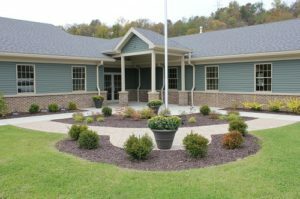 Ridgeline Children’s Shelter, located in Parsons, WV, is an emergency shelter for kids who need a temporary place to stay until permanent placement arrangements are made. We have 15 beds for youth ages ten and up. There are nearly 500,000 children nationally in foster care each year. Many reside in West Virginia. Genesis Youth Crisis Center, Inc. is seeking families who are willing to provide a caring and nurturing home for these children by becoming a Genesis Foster Parent and make a positive change in the lives of our state’s children who are in need of temporary or permanent families. It is our goal to connect these children with safe, nurturing relationships that will last a lifetime. Please consider becoming part of our team and providing a child with the gift of “family”. Becoming a Foster Care Familiy is easier than you might think. Want to learn more? CLICK HERE. The goals of Safe at Home West Virginia are to ensure youth remain in their own communities whenever safely possible, reduce reliance on foster care/congregate care and prevent re-entries, reduce the number of children in higher cost placements out-of-state, and step-down youth in congregate care and/or reunify them with their families and home communities. Trauma-informed assessments for youth and their families to identify their needs. Opportunities to provide services early and often, aligned with the targeted needs of youth and their families. To learn more about Safe at Home West Virginia, CLICK HERE. All content copyright Genesis Youth Crisis Center, 2019.